If you are a golf fan, you probably know that the great Jack Nicklaus has the tag of Most Golf Majors Won, with a total of Eighteen. Jack played amazing golf throughout his era, and used the best equipment available at the time. Over the last Twenty One Years both equipment and player prize money have changed dramatically. Golf equipment has become more forgiving, and players are hitting the ball further than ever with the advantages of some of the new technology. The golf swing and the art of getting the ball in the hole does remain the same. So which players have been the most consistent performers in the majors over the last Twenty One Years, and who holds the title of Most Golf Majors Won in that period? 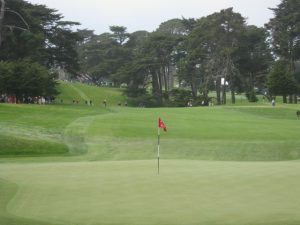 The mens Major Golf Championships are the most prestigious events in golf, and consist of four events played yearly. They are the US Masters, US Open, The Open Championship and the PGA Championship. Jack Nicklaus holds the record for most majors won, with a total of eighteen wins between 1962 and 1986. Here is a list of the Top 20 players in majors over the last Twenty One Years, taking into account wins and their best finishes. Louis Oosthuizen has been a solid contributor in golf majors in recent years. His one and only win came at the 2010 Open Championship at the Old Course in Fife, Scotland. He won by seven strokes with a score of 16 under par. Louis has also had a total of four runner-up finishes, with the most recent being at last years PGA Championship. One of the toughest events to win is the US Masters, and Bubba Watson has won the prestigious title on two occasions. He has not performed as well as some of his competitors in the majors, with only four top 10 finishes, all of which he finished in the top 5. The Green Jackets are pretty impressive, and he certainly has the game to win a third. Justin Rose made a name for himself by finishing fourth at the 1998 Open Championship at Royal Birkdale as a 17-year-old. He broke through for his first major win at the 2013 US Open, at Merion Golf Club, with a score of 1 over par, and a two-shot victory. He was the first Englishmen to win a major since Nick Faldo in 1996. Justin also finished tied for second with Phil Mickelson in the 2015 US Masters. He also finished runner-up in the 2017 US Masters and has had eight top 5 finishes. Zach Johnson pops up when you least expect him to in the majors. He rose to fame by winning the 2007 US Masters and has been a consistent performer, and a popular pick in recent years. His most recent major win was the 2015 Open Championship at the Old Course at St Andrews in Scotland. He won it in a playoff against Louis Oosthuizen and Marc Leishman. Zach also has nine top ten finishes and will be a threat again in this year’s majors. Most golf fans will remember David Duval as being the golfer that got to World Number one, and then almost completely disappeared in tournaments. Yes, he has had his personal issues but people forget that David Duval was a fantastic golfer in his prime. His one and only win came at the 2001 Open Championship at Royal Lytham & St Annes golf club in England by three strokes. David has also finished second in majors on three occasions, twice at the US Masters, and once at the US Open. He also has five top 5 finishes, and eleven top 10 finishes in the last Twenty One Years. Henrik Stenson played some of the best golf seen in a major in recent years, to take out the 2016 Open Championship at Royal Troon in Scotland by three strokes over Phil Mickelson. In a fantastic Sunday of golf Henrik shot a 63, and Phil a 65, to make it one of the most memorable Sundays at a Major Championship. He also became the first Swedish male to win a major. Prior to this win, Henrik had the tag of one of the best players to never win a major. He also finished runner-up at the 2013 Open Championship, which was actually won by Phil Mickelson. Henrik has also been impressive, with eight top 5 finishes in the last Twenty One Years. Dustin Johnson has been a solid contributor in the majors in recent years. With a total of thirteen top 10 finishes, he finally broke through for his first major win at the 2016 US Open at Oakmont Country Club in Pennsylvania, with a finishing score of 4 under par. Dustin has also finished second on two occasions, at the 2011 Open Championship, and the famous 2015 US Open Championship. In 2015 he had an eagle putt on the last hole at Chambers Bay to win the Championship. He rolled the putt three feet past and missed the birdie putt to tie for a playoff finishing one stroke back. Adam Scott won the 2013 US Masters in a playoff against Argentine Angel Cabrera. They both finished on 9 under par, and Adam won his first major on the second playoff hole. This was a significant win for Adam. He became the first Australian to win the US Masters. Adam has also finished second on two occasions and has eight top 5 finishes. In the 2012 Open Championship, he had a four-shot lead going into the final round. He kept that lead until the fourteenth hole, but proceeded to bogey the final four holes, and finish one stroke behind the winner Ernie Els. The laid-back demeanor of Angel Cabrera has arguably won him two significant golf majors. He has held his nerve on two occasions to win both the US Open and US Masters. His first victory came in the 2007 US Open at Oakmont Country club in Pennsylvania, where he won by one shot with a score of 5 over par on a very tough layout. In 2009, Angel defeated Chad Campbell and Kenny Perry to take out the prestigious US Masters Title. He contended again in 2013 to force Adam Scott into a playoff for the 2013 Masters but narrowly missed it. A solid performer in the majors with ten top 10 finishes, Angel is also the only Argentine to win the US Open and the US Masters. If you have watched the majors over the last six years you would have noticed a young Australian on the leaderboard on a regular basis. Jason Day may only have one victory, but has finished runner on four occasions and in the Top 5 eight times. His only major win was in the 2015 PGA Championship, at Whistling Straits in Kohler, Wisconsin. He played fantastic golf to win on 20 under par, three shots ahead of Jordan Spieth. He also finished one shot behind in the PGA Championship in 2016 and will be a certain contender in this year’s, majors. If anybody deserved to win a Golf Major after years of consistency it had to be Sergio Garcia. Sergio finally broke through for his first major victory at the 2017 US Masters in which he won in a playoff against Justin Rose. They both finished on 9 Under Par and Garcia won the tournament on the very first playoff hole. Prior to that win, Sergio Garcia had been considered one of the best players to never win a major. He has been very consistent with a total of 23 Top 10 finishes, which includes being runner-up four times. Jim Furyk has copped a lot of criticism over the years for having an unconventional golf swing. He’s consistent golf scores generally do all the talking, and this is a guy who actually shot a 58 in a PGA tour event in 2016, which is the lowest score in PGA Tour history. His only major win came in the 2003 US Open, at Olympia Fields Country Club where he won by three shots on a score of 8 under par. Jim also has four runner-up finishes, the most recent being at last years US Open, where he finished three shots back from the winner Dustin Johnson. He also has an incredible 15 Top 5 finishes in the last Twenty One Years. Retief Goosen has been a consistent performer in the Golf Majors over the last Twenty One Years. He has won the US Open on two occasions. The first being the 2001 US Open at Southern Hills Country Club in Tulsa, Oklahoma. He finished tied on 4 under par with Mark Brooks to force an 18 Hole Monday playoff, which he won by two shots on even par. His second win came at the 2004 US Open at Shinnecock Hills Golf Club, in Shinnecock Hills, New York. He took a two-shot lead going into the final round and managed to hold it, to win his second major. Retief has also finished second at the US Masters twice and has had a solid eight Top 5 finishes. At such a young age Jordan Spieth already has three major victories, and three runner-up finishes under his belt. His first major win came at the 2015 US Masters where he equaled the tournament record with a score of 18 under par and a four-shot victory. He won the very next major at the 2015 US Open at Chambers Bay in University Place, Washington. A score of 5 under par was good enough for a one-shot victory. His third major victory came at the 2017 Open Championship at Royal Birkdale Golf Club with a score of 12 under par. Jordan will again be a threat at the majors this year. He has finished runner up or won the US Masters on three of the last four occasions, and will be a fancied favourite in the first major for 2018. Padraig Harrington has been consistent in the majors in the last Twenty One Years, with ten top 5 finishes, but more importantly, he has won three times. With three major wins in two years, his first major win came at the 2007 Open Championship at Carnoustie Golf Links, in Scotland. He finished in a tie at 7 under par with Sergio Garcia and proceeded to win in a playoff to become the first Irishman to win the Open Championship in 60 years. His second major win came at the 2008 Open Championship the following year, at Royal Birkdale Golf Club. In tough conditions, he managed to score 3 over par which was good enough for a four-stroke victory. Being on a hot streak, a few weeks later Padraig became the winner of the 2008 PGA Championship, at Oakland Hills Country Club, in Michigan. With a final score of 3 under Par, Padraig added a third major to his impressive list. Vijay Singh has always been a consistent performer in the majors. He has eighteen top 10 finishes, and seven top-five finishes in the last Twenty One Years. To go with that, he has also won a major on three occasions. His first was the 1998 PGA Championship at Sahalee Country Club in Redmond, Washington. It was a two-stroke victory, in which he finished on 9 under Par. In 2004 he won the same event again when it was played at Whistling Straits, in Wisconsin. He finished in a three-way tie on 8 under par but managed to win the playoff against Chris DiMarco, and Justin Leonard. His most prestigious win was the 2000 US Masters, in which he won with a three-shot lead on 10 under par. With four major wins already, a young Rory Mcilroy has been a very solid performer in the majors in recent years. In 2011 he led from start to finish for an eight-shot victory at the 2011 US Open at Congressional Country Club in Bethesda, Maryland. He finished the tournament on 16 under par, which is a US Open record. His second win came at the Kiawah Island Golf Resort, South Carolina, where he took out the 2012 PGA Championship. Once again he won easily on a finishing score of 13 under par, eight shots clear of second place. 2014 was a great year for Rory when he managed to win two majors in a row. It started with a win at the 2014 Open Championship at Royal Liverpool Golf Club in Merseyside, England. He managed to hold off Rickie Fowler, and Sergio Garcia for a two-shot victory on 17 under par. A few weeks later he took out the 2014 PGA Championship, at Valhalla Golf Club in Louisville, Kentucky, with a one-shot lead and a score of 16 under par. Rory has had nine top 5 finishes in the majors and will be a fancied favourite to win his first US Masters this year. Ernie Els has been one of the most solid contributors in the majors in the last Twenty One Years. With eighteen top 5 finishes, including six-runner ups, Ernie Els has been one of the big performers in Golf Majors. He won his first major way back in 1994, and since then has added three more major titles to his resume in the last Twenty One Years. In the 1997 US Open, at the Congressional Country Club in Bethesda, Maryland, Ernie won by one stroke with a score of 4 under par. Ernie won his first Open Championship in 2002, at Muirfield Golf Links in Scotland. He finished in a four-way tie at 6 under par, with two Aussies, and a Frenchman. Ernie managed to hold his nerve and win his first Open Championship. His second 2012 Open Championship win came ten years later, at Royal Lytham & St Anne’s Golf Club in England. He started the day six strokes back, but some results went his way and his final round 68 was enough for a one-shot victory. Ernie has finished runner-up on six occasions in majors, including twice at the US Masters in 2000 and 2004. The US Masters is the prestigious award he would hope to add to an already fantastic career. Phil Mickelson had nine top-five finishes before he finally won his first major in 2004. Since then he has added four more majors to his list and has been one of those most consistent performers in major golf history. At the US Masters in 2004, Phil drained an 18ft putt on the 18th hole to defeat Ernie Els by one shot on 9 under par. He also won the 2006 US Masters, with a final score of 7 under par. Four years later Phil one his third US Masters title in 2010 by three shots on 16 under par. Phil’s two other major victories were the 2005 PGA Championship at Baltusrol Golf Club in Springfield, New Jersey, and the very famous 2013 Open Championship where he came from five shots back to shoot a final round 66, and win by three strokes. Phil has had an amazing twenty-four top 5 finishes in the last Twenty One Years, including eleven runner-ups. Six of those runner-up finishes have come at the US Open, an event Phil has been wanting to win for some time now. He will get another chance this year to add to his impressive achievements. Tiger Woods has a record that basically speaks for itself. There is no question that Tiger Woods has been the most successful golfer in majors over the last Twenty One Years. With an amazing fourteen wins, he has also finished in the Top 5 on 31 occasions and had six runner-up finishes. He has made the cut in a major on 39 consecutive occasions, which equates to almost ten years. One of his most prestigious wins was his first major win in the US Masters in 1997. He struggled on the first day shooting 4 over par on the front 9. Tiger came back on the next nine with a 30 off the stick, to shoot 2 under par, and storm back into contention. He then managed to keep the form going and win the event by a record twelve strokes on 18 under par. Tiger also won 2001, 2002 and 2005 US Masters events. The 2001 US Masters win made Tiger the first ever professional golfer to hold all four golf majors titles at one time, although it was not in a calendar year. In the 2000 US Open at Pebble Beach Golf Links in California, Tiger finished on 12 under par, which was an incredible 15 shots ahead of second place. This still remains the record winning margin in Major Championship History. He also won the 2002 US Open, and his last major win was at the 2008 US Open at Torrey Pines in California. He defeated Rocco Mediate in an 18 hole playoff by one stroke in sudden death. 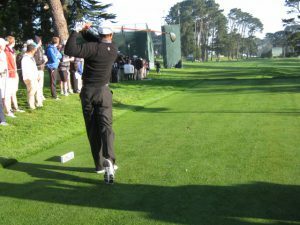 Tiger has also had great success in The Open Championship, winning in 2000, 2005 and 2006, and also the PGA Championship in 1999, 2000, 2006 and 2007. His record when going into the final round of a major with either the lead or a share of the lead is a quite remarkable 14 wins out of 15. He is considered one of the greatest closers in Major Golf History. Here is a quick short video of what is considered one of the greatest shots in US Masters history by the great Tiger Woods in the 2005 US Masters. Quite a number of major winners were left out of the twenty including David Toms, Mark O’Meara, Davis Love, Mike Weir, Martin Kaymer, Justin Leonard and Darren Clarke. This is because they have not performed as consistently in the majors as some of the golfers in the top twenty. I would also like to mention Englishmen Lee Westwood, who has 18 top 10 finishes, and three runner-up finishes and is considered the best current-day player to never win a major. If you feel I have left out a few players or disagree with the order leave your comments below. Great list and stats of the top twenty golf major winners. I think that Tiger has dominated the last twenty years as you state. The last five years has seen a little more parity with him on the sidelines. I like the list of younger golfers coming up with some of their talents. The length of some of the guys these days is outstanding. The majors do give most of the guys jitters in the last round. What do you think would happen if some of these guys did not crack in the final round. Ernies last win at the open was one of these rounds. Yes, with the 21st anniversary of Tiger Woods historic first major win at the 1997 US Masters, I thought it would be fitting to do a top twenty of the most consistent major winners of the last twenty one years. With Tiger struggling with a significant back injury in recent years, it looks unlikely we will see him at his very best again. We tend to forget how good he actually was, and love him or hate him if we are talking golf, he has been the most consistent over the last twenty years. Yes, I agree John. The last 9 holes of a major championship is where the nerves and jitters would come in. It seems some players handle it a lot better than others. I love golf. I’m not a good golfer in real life. I do however play it in fantasy sports. This post help sheds some light on a few players I have been curious about. I will be sure to follow your site and use it as a study guide. Thank you for the help. No doubt you’d be a golf fan playing fantasy sports. There are quite a few guys on that list who all will have a chance of winning a major this season. I have to admit that I do not know much about golf or the stats but I was impressed with the list of the top 20 players. On occasion, I have watched golf more with curiosity because Tiger Woods was playing and people were raging on how great of a player he is. It is great to see that there are younger players coming on to the scene and ranking. I am curious, though, why are there no women? Is this list strictly for men golf players or do women just not play professionally. Thank you for your post. I enjoyed reading about the successes of these golf players. Yes there are many great female golf professionals. The Ladies PGA Tour (LPGA) is a very popular and competitive tour for the best female golfers in the world. This is a list of the best performing golfers in the Mens Major Golf Championships over the the last twenty one years. As you can see Tiger Woods has been the clear standout, but there are some great young players on their way. I love this. I especially found your page for beginners helpful as that is what I am. I don’t know a whole about golf yet, but have always wanted to learn. You offer some excellent insights into the basics as well as some great tips and equipment recommendations. I will be definitely be coming back to your site in the future. Yes, pop back whenever you like and let me know if you have any questions. I hope you leaned a bit about some of the better performing golfers in the men’s golf majors in the last twenty one years. As I scrolled down your top 20 list of Majors winners, I was not surprised to see Tiger Woods in the number 1 spot. The big questions on my mind though is whether or not he has it in him still to win another Major tournament in what is left of his career. Do you think that it is all over for Tiger, or do you think he has at least one more Major victory left in him? Personally, I would love to see him win at a British Links Course. There is no question that Tiger Woods still has the talent to win another golf tournament and possibly even a major. He proved that in 2016 at the Hero World Challenge where he finished 15th and made the most birdies out of anybody in the field. There was probably only one thing that was ever going to stop Tiger Woods from winning his goal of twenty majors, and that was a significant injury of some sort. Unfortunately he has suffered a significant back injury over the last three years and has had three back surgeries. Tiger has not been able to play golf consistently due to ongoing back problems and is certainly up against it to win that next major championship. In saying that many golfers have still played good golf with back pain, and perhaps if he can learn to play with the pain we might see him shoot some good scorers and be in contention. Let’s hope we see him back in action soon. Man i’m obsessed with golf. I play it everyday, itsjust a stress reliever for me. My getaway. It’s just so peaceful and beautiful on the field, just forget about everything else and just live in the moment. The only thing though, is that im not very good. My stance is unbalanced and my swing is inconsistent. I wish i could be as good as jack. Do you have any tips i could use to improve my game? Yes, Jack Nicklaus is arguably the greatest golfer ever, and he has the record in the world’s biggest golf events to prove this. Lessons from a good golf coach and practice are the best ways to improve your golf game. If you want some basic tips you can check out my section on basic golf tips. Hi there, great compilation of the top golfing performances at Golf Majors over the past 21 years! Seeing the names on the list brings back good memories of watching these guys play over the years. I grew to enjoy watching the older guards playing, the likes of Vijay Singh, Ernie Els, Woods, Mickelson, just to name a few. Talk about consistency, I think these guys that I mentioned definitely has it. Thanks again for compiling the list! An enjoyable read! Yes, some of the names you have mentioned were all awesome to watch during their prime. Their consistency over a long period of time in the majors has made the men’s major golf championships such a good spectical in recent times. The first major of the year the US Masters is just around the corner, so we get to see who can add their name to that prestigious winners list. Great post!!! I couldn’t agree more with your list and the honorable mentions. Like you said love or hate him Tiger has been the most dominant player in the past 20 years. When he showed up for a tournament everyone else was playing for second it seemed like. I think we will see Dustin Johnson climb the list here in the next few years as he has taken over the world number 1 position. Yes for sure! Dustin Johnson is the in form golfer at the moment being the current world number one. It will be interesting to see how he goes at the US Masters. He will certainly have some challengers out there, but will probably go in favourite.